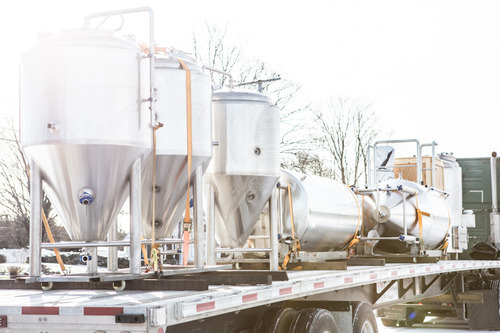 A New Year and a time of Transition — Tree House Brewing Co.
A NEW YEAR and a time of great transition at Tree House Brewing Company. We have some beautiful new toys to show folks making the trip to the Tree House barn this weekend - the culmination of a year’s worth of work and the support of our wonderful customers. We’ll have just two beers available tomorrow: “Dirty Autumn”, our 3.7% English Mild and “Old Man”, our Special Bitter brewed in honor of our head brewer’s father (Happy retirement, dad!). Since our beer is in such short supply this weekend, we’ll have a four bottle limit to spread the love a little bit. Please be careful - the driveway is slick!! Put on your spiky shoes!! About our transition - we are in the process of installing the new brew house (wait ‘til you see it!!!) and as a result our brewing has taken a hit. We’ll keep putting out beer during the transition but our supplies may be light for a few weeks. Our mission is to create delicious, smooth, and flavorful malt beverages which can act as a spark to re-unite old friends and to incite deep introspection regarding what’s important in life and how truly lucky we are to share in each other’s company. This is not a deluded vision of grandeur - it is simply a group of friends and their pursuit of happiness. To a safe and prosperous 2013 for all, cheers!